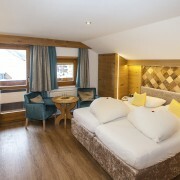 Our comfortable suite is ideal for 2 to 6 persons. 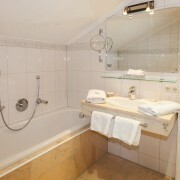 The suite is equipped with bathtub and toilet. 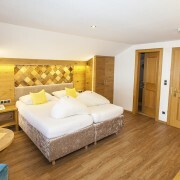 All rooms are equipped with flat TV, radio, telephone and safe. 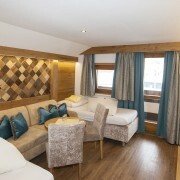 Indulge into a substantial breakfast at our generous buffet. 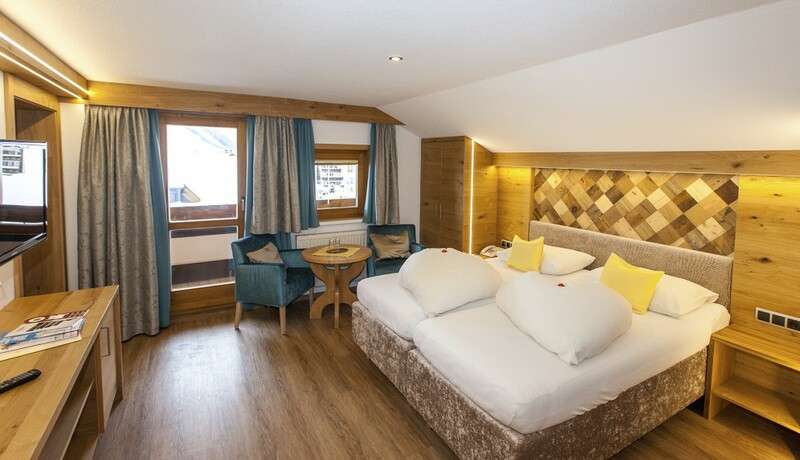 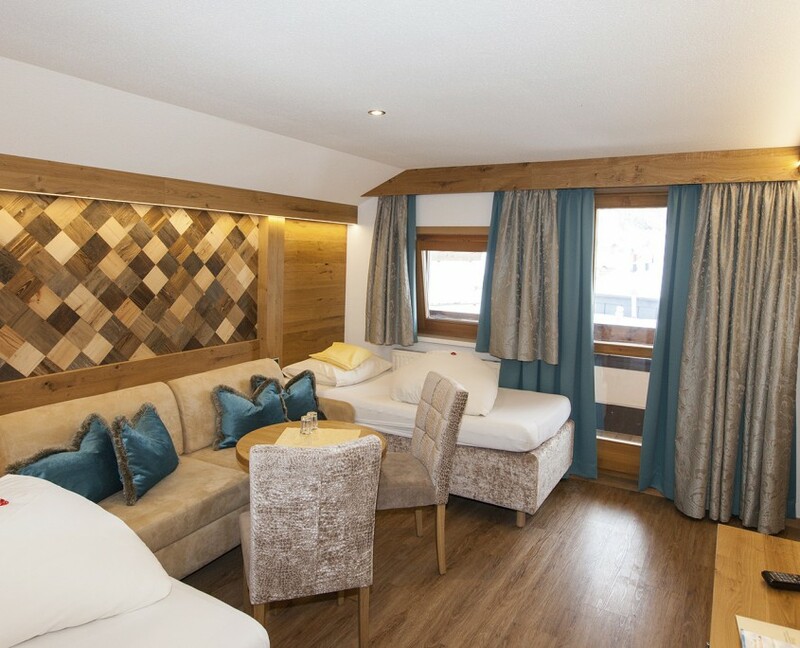 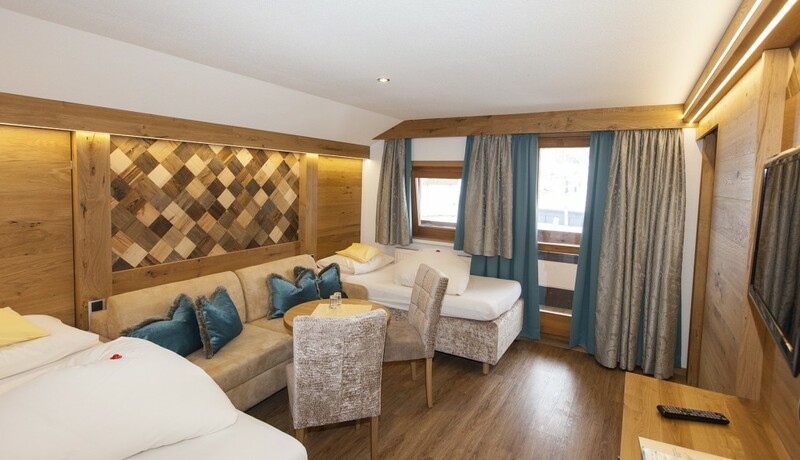 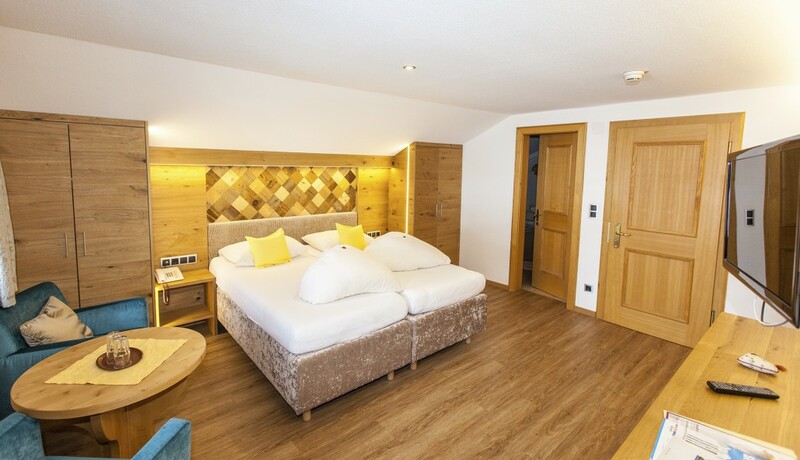 A cosy atmosphere, elegant rooms in different categories, a fine wellness area and a sun terrace that invites you to soak up the beautiful Tyrolean sunshine await you at Hotel Schlosshof in Ischgl. 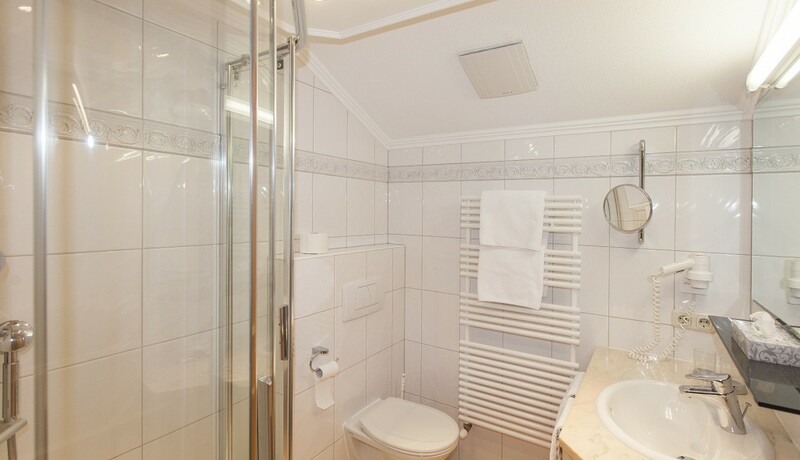 Our friendly service team strives to satisfy all of your needs so that you feel truly fantastic. 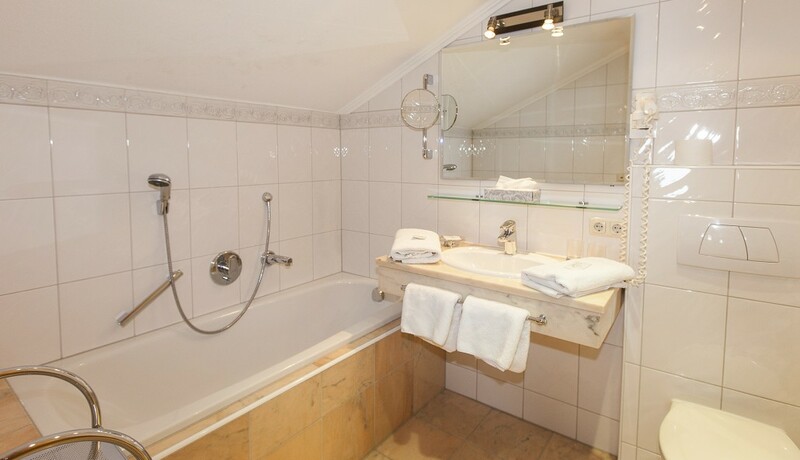 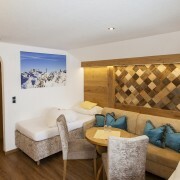 Convince yourself of the cleanliness of our rooms, the wide range of exquisite meals we prepare for our guests, as well as the outstanding location of our hotel in the centre of Ischgl. 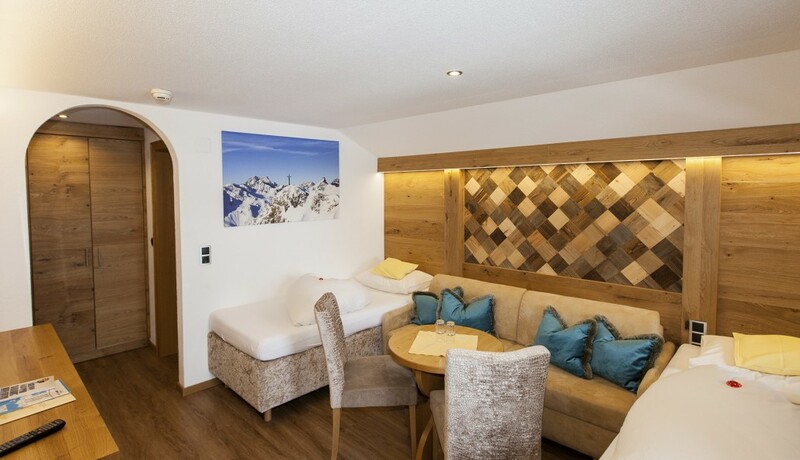 Within a few minutes of walking distance you can reach the valley station of the Silvretta cable way as well as countless shops, restaurants, bars and pubs.